Trixie the paper doll and her wardrobe. Please let me know if you encounter any printing problems. 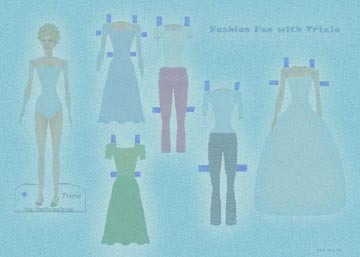 Paper doll and clothing designed by Zap. ©2002 Trixie Belden Homepage. Print for personal use only. Do not redistribute. Made with Adobe® Photoshop®.